Financial sector has always attracted young and ambitious people. Clean working environment, great salaries, and prestigious job titles. Who would not want to work in a bank, or in a stock exchange? But it is not an easy journey to get this job. Facing tough competition in every interview, you will have to demonstrate your motivation, drive, and often also your sales skills, in a difficult role play at the end of your interview. Articles below should help you to get ready for the challenge, and to overcome interview stress which you may experience right now. Articles are in alphabetical order. Actuary interview questions – Actuary is a great career, especially for people who excel in statistics and risk assessment. While you won’t compete with many other applicants in your interview, you will have to demonstrate right personality for the job, and right attitude to various challenges and situations. Bank Teller interview questions – One of the most popular jobs in the United States. Each job opening attracts dozens of job applications. You will have to prepare for the questions, and for the role play with the interviewers. Budget Analyst interview questions – 25 questions, including tough technical and behavioral questions. Learn what matters in this interview. Buyer interview questions – They will ask you about various situations you will deal with as a purchasing agent. Learn how to answer each of these questions. Financial Analyst interview questions – A tough nut to crack, but a wonderful career to have. Learn how to make the right impression on your interviewers. Loan Officer interview questions – Learn how to ace the meeting with the hiring manager, and get this entry level job in a bank. Management Analyst interview questions – One of the high executives will typically interview you for this job–and such a situation is never easy. Learn what to expect and how you can win the top executives over. Payroll Clerk interview questions – Eight common questions and answers for this position. Learn what to say in your interview to make a good impression on the hiring committee. Personal Banker interview questions – Behavioral questions, role play, and a throughout background check. The HR managers at banks ensure you won’t forget on this interview with them. Phone Banker interview questions – Do you like spending hours on a call, sitting in front of a computer? 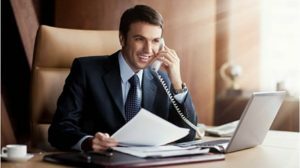 Can you upsell the client of a bank while talking to them on the phone? They will test it all in an interview. Private Equity interview – There’s no way you can trick the interviewing panel in this case. Many case studies, tests, and practical and behavioral questions will help them to create a perfect picture about you.